Experts offer suggestions for handling the difficulties of infertility, both for would-be parents and for the people who know them. WASHINGTON — One in eight couples deals with infertility, according to the Centers for Disease Control and Prevention. It’s a sensitive issue that is difficult enough to deal with without awkward questions and comments from friends, family and even strangers. 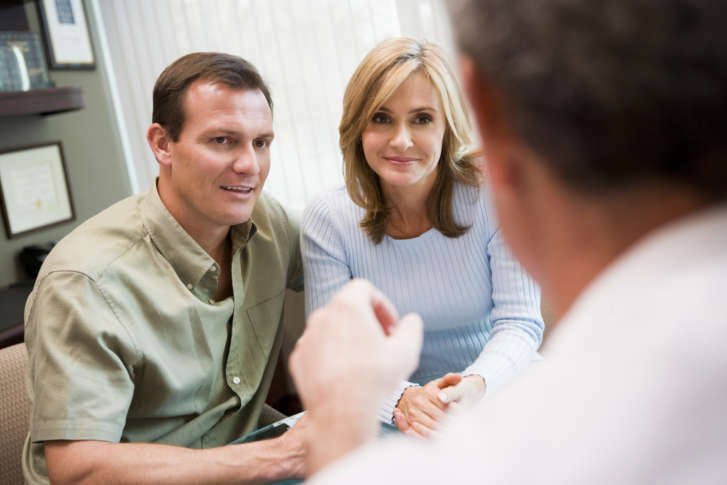 As National Infertility Awareness Week approaches (April 23–29), some experts have suggestions for handling these difficulties, both for would-be parents and for the people who know them. Relationship expert Andrea Syrtash said it’s all too common for women who aren’t getting pregnant to receive unsolicited advice — e.g., increasing wheatgrass consumption, relaxing, thinking positively etc. “It’s a really hurtful thing to say to someone who is on the infertility journey, because you’re essentially saying, ‘This might be your fault,’ and it’s really not,” said Syrtash, who is also editor-in-chief of Pregnantish. The relationship site helps singles, couples and LGBT people navigate the personal and practical parts of infertility and fertility treatments. And questions like, “Are you pregnant?” “Do you want to be pregnant?” and “Don’t you want to have children?” can be especially hurtful, said Thomas “Mr. Manners” Farley, an etiquette expert at What Manners Most. Instead, Farley suggests setting aside any insatiable curiosity and taking what he called a “pregnant” pause: less questioning and talking; more listening. “Watch your phrasing and simply be a good listener and be compassionate,” he said. For those who are on the journey, know what you’re comfortable sharing, Farley said. Removing the stigma is important, yes. But if you are comfortable with being open today, that might not necessarily be the case tomorrow, especially when it comes to social media. “There are so many uphill battles that you’re going to be facing, you don’t want to be broadcasting it to some people who perhaps you met once at a party and are not even in your close circle of friends,” he said. Syrtash agreed. “These are intensely personal decisions, and it’s really up to you to create those boundaries,” she said. But don’t draw those boundaries too closely: A support system is essential for each partner, Syrtash said. Whether it’s a clergy member, therapist, or close friends or relatives, it’s important to have someone to confide in. And despite the stigma associated with infertility, it’s important to realize how prevalent infertility really is, she said. “You are not alone,” Syrtash said.